2018 poster, by painter Toni Ortolà. 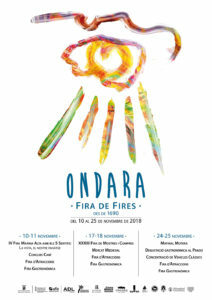 Ondara will be host to a November full of activities and atmosphere with the Fira de Fires. An event that, this year, reaches its 33rd edition under the motto La Fira de Fires des de 1690. 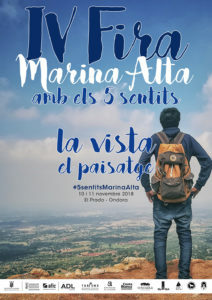 From the 10th to the 25th November, the Olarenian municipality will host the IV Fira Marina Alta amb els 5 sentits: The View, The Nostre Paisatge, Trade Fair and Shopping. It will have 31 exhibitors and a spectacular Medieval Market, Attraiction Fair, the Matinal Motera and the “Tastings” in the Prado. 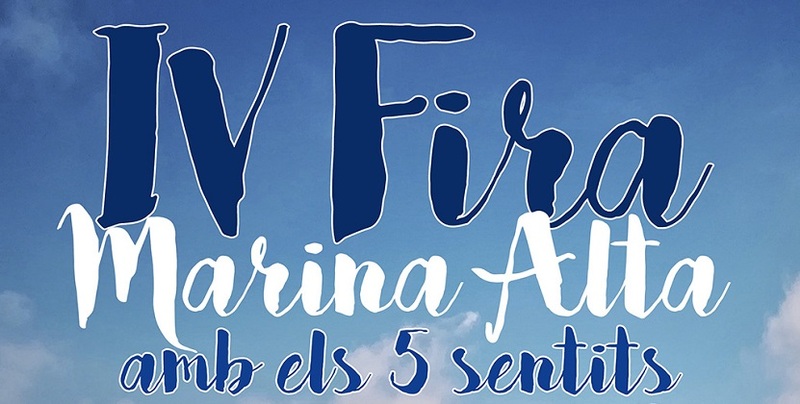 On the first weekend of the even,t Fira de Fires, the events will be held IV Fira Marina Alta amb els 5 sentits: The view, the nostre paisatge, the Fira d’Atraccions, the Gastronomic Fair and the Canine Contest (Sunday at 11am). La IV Fira Marina Alta amb els 5 sentits: The view, the nostre paisatge will be held at the Prado de Ondara and aims to be a showcase and at the same time a tribute to the landscape of the Marina Alta. This regional fair, which will involve all local municipalities of the region, will be based on areas such as sustainable tourism, hiking routes or the environment and will be developed throughout the weekend through workshops and activities. Also, the central part of the Prado will be a showcase for the active and cultural tourism companies of the Marina Alta, with the presence of a beer stand of the region. La amusement fair will be installed again in the public parking located at the northern entrance of the town, on the street Nacions Sense Estat. The children’s days of the fair will be on Wednesdays 14th and 21st November, and the attractions will cost 1.50 euros. La Gastronomic Fair 2018 It will be developed again during the three weekends of the fair, in the participating establishments. In this 12th edition, restoration businesses will participate in the proposal, which will be connected through a trenet that will carry out a circular route, taking customers from locale to locale so that they can enjoy the tastiest dishes and tapas and the special tasting menu of Feria, which will include as a common element the pansa or the orange. These days will be dedicated to the XXXIII Fira de Mostres i Compres, the Medieval Market, and will continue the Fira d’Atraccions and the Fira Gastronòmica. La Trade Fair and Shopping It is an event in which local businesses and businesses, and also some districts will offer a sample of their offers in products and services, with special fair prices. The Medieval Market will be installed between the Prado and the Plaza de Toros, on the Avenida General Bosch, and on the Vicent Andrés Estellés square. This year it will have sale of products, food and drink, as well as animation, falconry and children’s activities; characters, workshops, music, performances, medieval challenges andd attractions, archery, circus numbers, children’s games, crafts, and endless audience fun. The opening hours of the Prado for the first two weekends: Fira comarcal and Fira de Mostres, will be from 10: 30 to 14: 30 and 16: 30 to 21 hours (Sundays to 20: 30). The same time as the Medieval Market. The highlight will fall on the XV Matinal Motera, the Gastronomic Tasting of the Prado, the Concentration of Classic Vehicles, the Fira d’Atraccions and the Gastronomic Fair. La Matinal Motera will begin on Saturday 24th NOvember, with evening concerts on the stage located in the back of the Prado, and Sunday 25th in the morning, with the great “motera” organized by the Ondara Custom Club, on Avenida Doctor Fleming, while the Concentration of Antique Vehicles will take place on the Avenida de Alicante. The trenet will serve to structure both events. The programming of this event is: On November 24th at 12 hours they will be offering a welcome beer to the participants of the Matinal Motera, who come to spend the whole weekend there. At the 14 hours they will have food of brotherhood in the Prado, and at the 19 hours will begin the concerts with the performance of The genet and the apocalyptic and at 21 hours, Loli Pop. 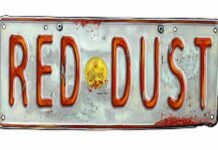 There will be bar service with food and drink, by the Soledad 2019 Commission. On November 25 Sunday the Matinal Motera will start at 9am with the opening of registrations, followed by the Rockabilly concert of The Daltons at 10am. At noon will be the appetizer “gamber” and the delivery of trophies. Then act Marcos Elvis. From the Department of Tourism and Economic Promotion will be published a specific brochure of the Gastronomic Fair indicating the participating restaurants on a map, with the menus offered by each and the schedules of the trenet that connects them.